Q. With regards to damp, what is the process of tying in a timber frame extension to a rendered old stone wall without a cavity (talking at least 1.5 foot thick). Obviously can’t use a tray there, but the external stone wall is still becoming an internal wall; would you slide flashing in as far as you could, then ensure the rendering above is painted in waterproof paint? A. Your detail would be fine in those “pre-superinsulation days” But now you have external damp ingress to deal with as well as potentially severe cold bridging from the old stone wall. Your suggested detail would potentially reduce damp ingress to a minimum. But the potential for cold bridging/condensation settlement in this junction might represent an even greater threat. One possible solution (if its permissible) might be to provide a level of external insulation to the segment of old stone wall exposed which then might eliminate the potential for cold bridging and additionally provide greater protection against damp ingress. This is an area where specialist advice should be sought to the case at hand. It may involve details such as a lime wash external shelter coating on the stone wall to minimise damp ingress and allow damp egress. A suitably specified internal natural insulation material like as sheep’s wool, hemp, flax or other hygroscopic material that allows moisture movement without affecting its thermal qualities. the detail here is very important and avoidance of some unintended consequences that can result from retrofitting old buildings. 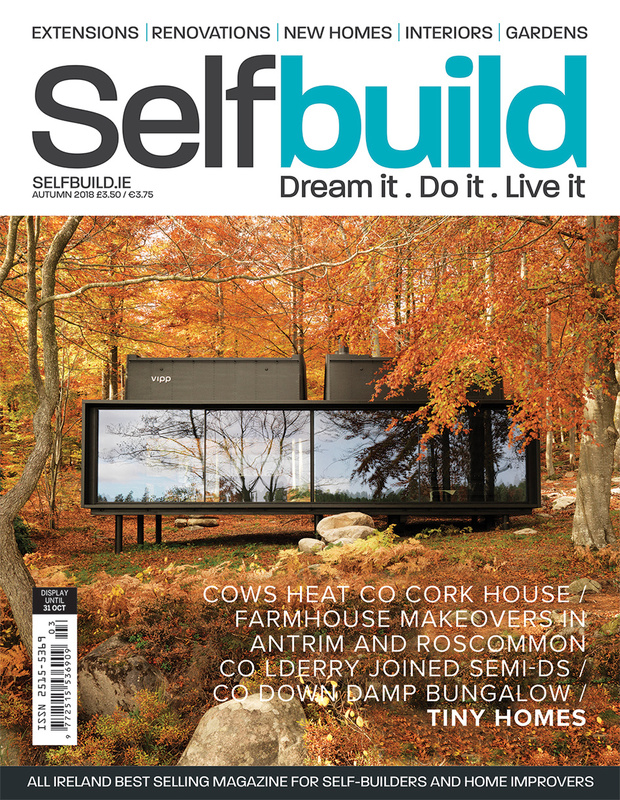 MyEcoHub and ORS director, Paul O’Reilly’s advice for Selfbuild readers in the Autumn 2018 issue.